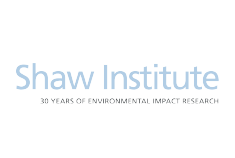 The Shaw Institute is a nonprofit scientific institution based in Maine and New York with a mission to improve human and ecological health through innovative science and strategic partnerships. Founded in 1990 by leading environmental scientist Dr. Susan Shaw, the Institute is globally recognized for pioneering, high-impact research on plastics, POPs, climate change, and oil spills that has fueled public policy and societal change nationally and internationally. The Shaw Institute and the Plastic Health Coalition share a common vision to advance understanding of human exposure and health effects of microplastics, to communicate that risk to a broad public, and to take bold, concerted actions to curb plastic pollution worldwide.